If you love to get a box of goodies in the mail each month, or every two, or three months, Scentsy Club is FOR YOU! Go straight to www.IncomeWax.com to build your own Scentsy Club subscriptions. Simply select your products and choose how often you’d like them to ship. It’s that easy! 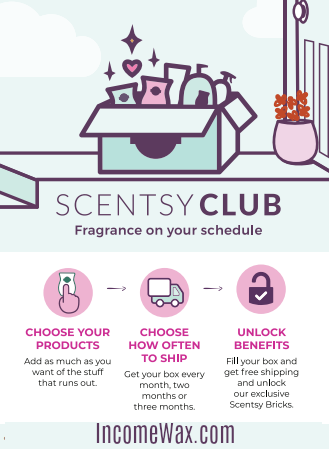 What is the full list of products and limited-time offerings in the Scentsy Club program? You can subscribe to the Scent of the Month (SOTM) program to get a different fragrance each month. You can also add a specific SOTM fragrance to your subscription while it’s available to the general public to take advantage of the Always Get My Bar perk. 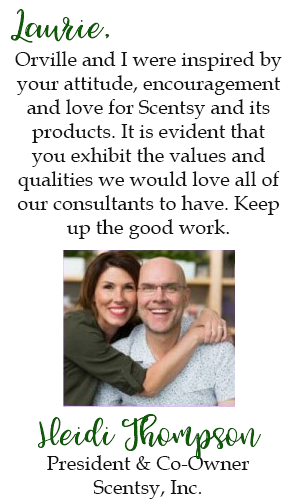 Members can subscribe for individual Scentsy Bars from wax collections within 30 days of the collection’s launch date, or throughout the duration of the LTO (whichever is longer). Individual bars from wax collections are also eligible for Always Get My Bar. BBMB winners are also eligible for Always Get My Bar if added to a subscription within the active selling period. Summer Scentsy Bars are also eligible for Always Get My Bar if added to a subscription within the active selling period. When new fragrances are launched in Scentsy Bricks, Scentsy Club members can subscribe to these new fragrances in Scentsy Bar form within 30 days of the bricks’ launch date, or throughout the duration of the LTO (whichever is longer). These Scentsy Bars will begin shipping with Scentsy Club orders once the bricks promotion ends. Scentsy Brick fragrances in Scentsy Bar form are also eligible for Always Get My Bar. 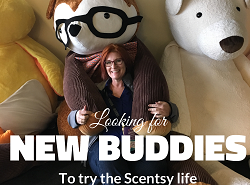 For More Information and Updates Visit my Scentsy Club page.